I've appeared on BBC Radio 4 and BBC Radio 5 Live to talk about my article "7 Things No One Tells You About Losing A Parent As A Child", and appeared on BBC Radio 4's Woman's Hour to discuss the benefits of holidaying with your mum, based on a piece I wrote for BuzzFeed. I was also part of the Radio 4 documentary "Where Are All The Working Class Writers?" I co-host a podcast with my friend Natalie called "Well Blactually", where we speak ~blactually~ about music, pop culture, dating, and everything in between. I've also been featured on BuzzFeed's Internet Explorer, BuzzFeed's See Something Say Something, and BuzzFeed's Thirst Aid Kit. My essay, Living on an Estate Gave me a Community I Never Knew I Needed, is one of 23 pieces of work that published in Dead Ink Book's Know Your Place, a collection of essays about the working class, written by the working class. The book was released in October 2017. I am also the 2018 Roxane Gay fellow for a woman of colour writing fiction with Jack Jones Literary Arts. The two week retreat takes place in Taos, New Mexico in October. I've spoken at various places about my work at BuzzFeed and experience in journalism. 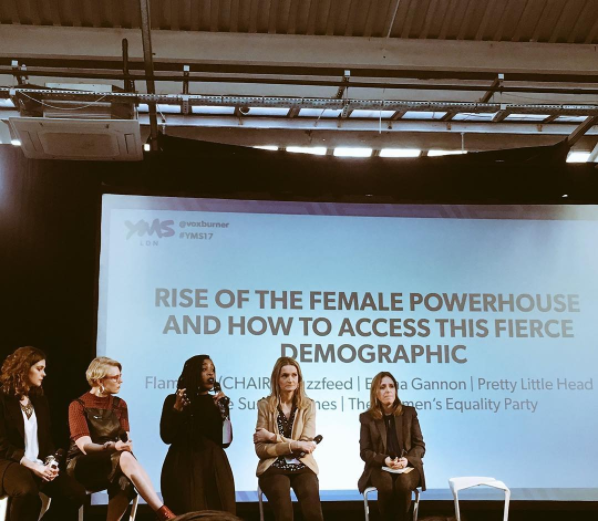 Most recently, I was a speaker on the panel "Rise Of The Female Powerhouse And How To Access This Fierce Demographic" at the Youth Marketing Strategy 2017 in London. I also attended the Manchester Literature Festival, Birmingham Literature Festival, and sat on a panel at Foyles Charing Cross Road to discuss my essay in Know Your Place.